Tom Ripley is a man with no purpose and he takes whatever he can get. When he gets an invitation to go to Italy to try persuading an acquaintance to go back home, he immediately says yes. But the man, Dickie Greenleaf doesn’t want to go home, so Tom decides to stay as well in Mongibello, and eventually moves in with Dickie. Tom is a sociopath and he is insanely jealous of Dickie. He then murders Dickie and pretends to be Dickie, but Dickie’s friends are suspicious. Will they find out the truth? 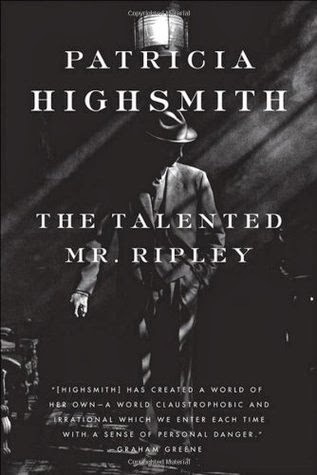 Highsmith has made the impossible possible, and I actually rooted for the murderer, even if he has nothing likeable about him. It was fascinating to read about how he fooled everyone and just kept spinning his net of lies. The book made me yearn for a time I have never known and travelling around Europe. I think she captures the mood of Americans in Europe at that time and the book reminded me both of Tender is the Night by F. Scott Fitzgerald and American Psycho by Bret Easton Ellis. I became hooked on Mr Ripley, and I’m glad that there are 4 more books to look forward to. This was February’s book in Line’s 1001 books reading circle, and although I read it in February, I just have been too busy to write about it until now. Which is bad because I have forgotten what I wanted to say.